Pronounced ‘Mowzel’, the village was recorded as early as 1266 and you get a real sense of timelessness as you wander the narrow streets, while the picturesque harbour offers a safe, sandy beach at low tide. 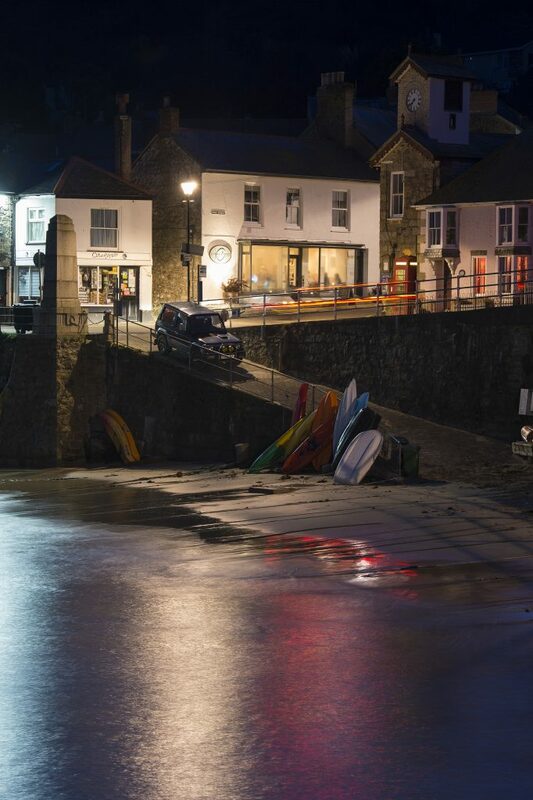 With a vibrant, continental feel, 2 Fore Street is a relaxed and stylish bistro-style restaurant on Mousehole harbour front, perfectly positioned for watching boats bobbing on the water and children crabbing off the harbour walls. Delicious food at 2 Fore Street. 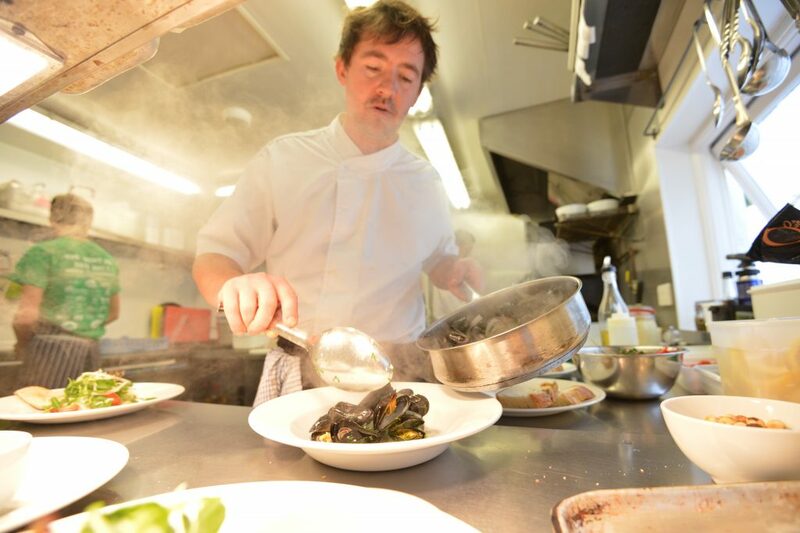 Joe, owner and head chef, is classically-trained under Raymond Blanc. 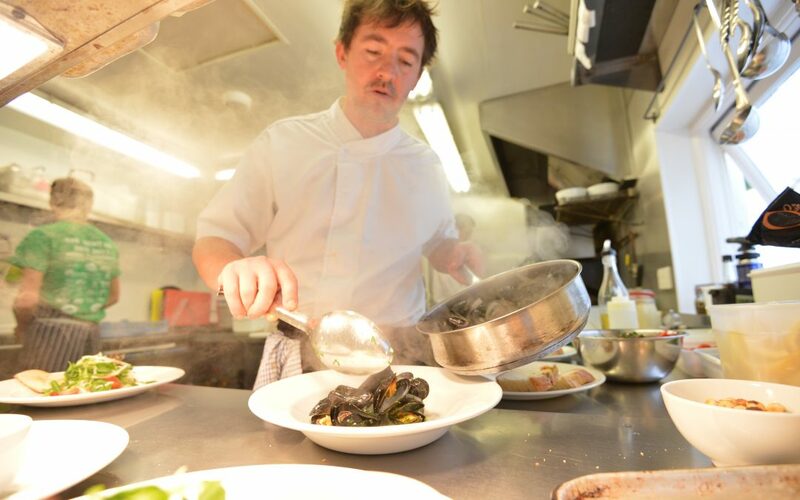 Passionate and dedicated, he sources all of his ingredients from local suppliers where possible, ensuring all dishes are of the highest possible quality. Kerry, his wife, runs the front of house. 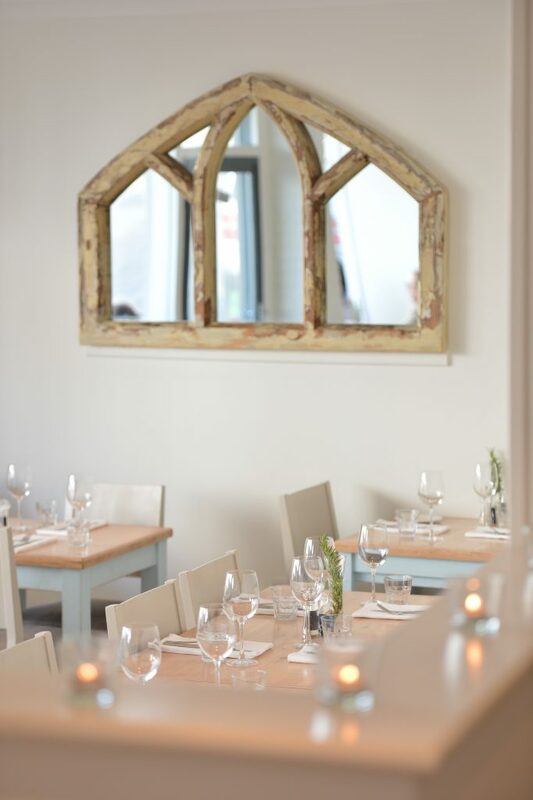 Mousehole born and bred, she inspires a relaxed and friendly atmosphere in the restaurant ensuring a seamless service is always maintained. 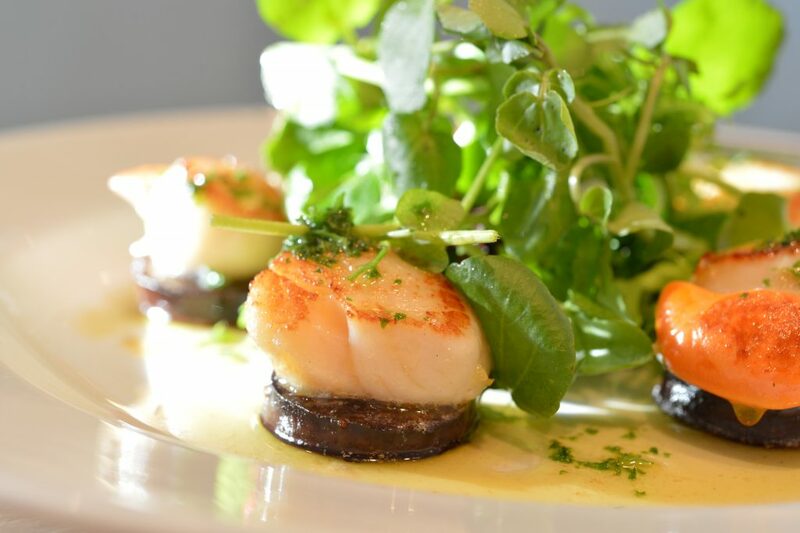 The menu changes regularly to reflect the freshest of local produce with an array of mouthwatering options from the famous Newlyn crab souflé, to a delicious beef bourguinon, to grilled lemon sole fillets with samphire. 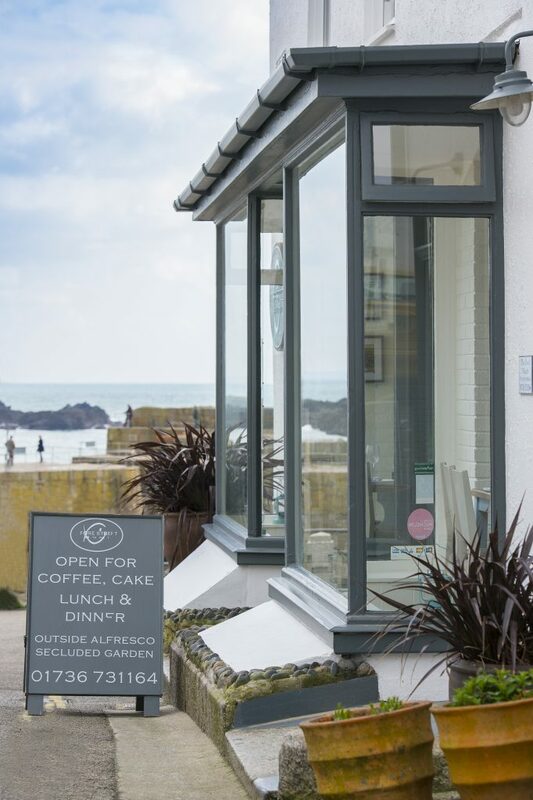 2 Fore Street is the perfect spot for a Sunday morning coffee, lunch straight off the beach or for dinner with friends over a chilled glass of Polgoon wine. It’s a popular place, so make sure you book in advance! Trust us, you’ll go back time and time again.